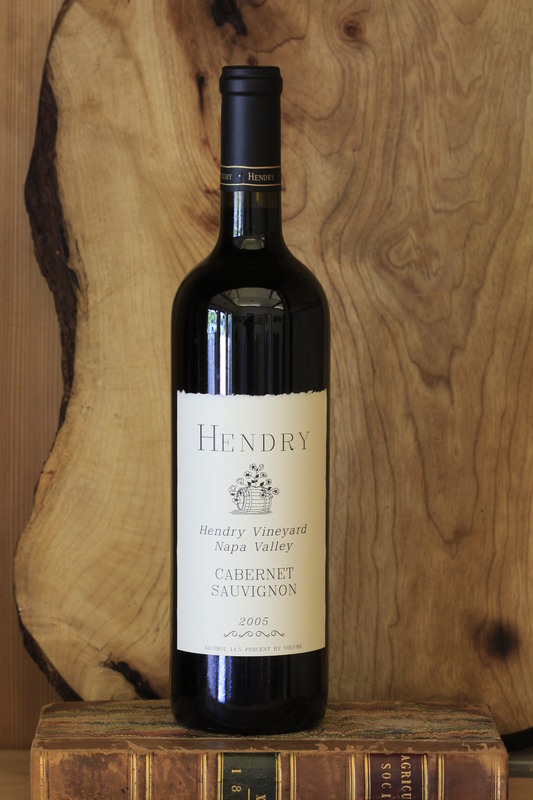 Hendry Blocks 8, 16, 17 and 18 are located on bench lands west of the town of Napa. The vines grow on thin stony soil between 150 and 300 feet above sea level. Morning fog and strong afternoon breezes from San Pablo Bay moderate the climate. The vines in Block 8 were planted in 1974 and are 35 years old. They are spaced 8’ x 10’, cordon trained and spur pruned. The clone is U.C.D. 7, grafted to St. George roots. A seven-foot vertical trellis system supports the cordon and the canopy. Average production is approximately 2 tons per acre. Blocks 16, 17, and 18 were planted in 1996, 1996, and 1997. They are also on St. George rootstock. They are grafted to U.C.D. clones 7 and 4, and 337/15. Their inclusion in our Cabernet Sauvignon marks a milestone in the vines maturity. At 12 and 13 years old, they have reached a significant level of depth and complexity. In 2005, the median bud break in Block 8 was March 31. In Block 16 and 17, it was April 6, bloom, May 31 and veraison August 7. In the younger blocks, bud break occurred April 2-4, bloom May 30 and veraison approximately August 4. The harvest was October 13-18 in Block 8, and October 3-7 in the younger blocks. Yields averaged 2.54 tons per acre throughout the Cabernet blocks. In 2016 and 2017, this wine is drinking like velvet. The mid-palate is dense and full of cocoa and cassis, and some of the more subtle secondary aromas have emerged. The tannins have softened slightly, but are nowhere near finished with their evolution. This wine will continue to blossom for another decade with ease. Magnum available.